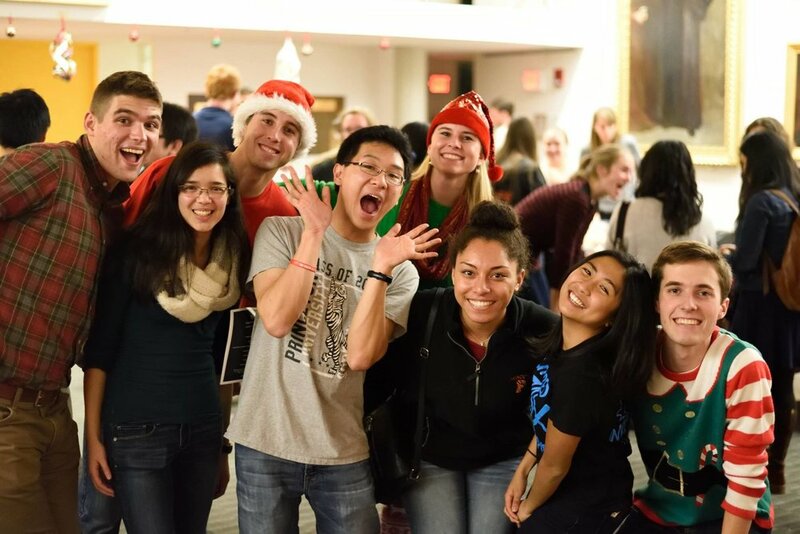 The Princeton Christian Fellowship is a non-denominational Christian campus ministry dedicated to teaching, serving, and building up students to live and love like Christ on Princeton's campus. PCF is dedicated to providing its members with the ability to think critically about their faith. Students are encouraged to ask challenging questions, but with the hope of finding answers in the Scriptures. Ultimately, we strive for a manner of life that develops the mind of Christ. That is, a mind that knows the Scriptures (Ps. 119:11), seeks true wisdom from the Spirit (1 Cor. 2:13), is not puffed up by knowledge but uses knowledge to build others up (1 Cor. 8:1), and acknowledges Jesus as the ultimate teacher (Matt. 23:10). Just as we value living with the mind of Christ, we seek to cherish, develop, and exhibit the heart of Christ. That is, to live out the love of Christ to others. Our community life together allows us to know and to love each other in real ways. We desire to be a community marked by love for one another, for the campus, and for the world. Some of the ways we love God and our community is through worship, daily prayer, and involvement in world missions. To love with the heart of Christ means to serve as the hands of Christ. As Jesus said, "If I then, your Lord and Teacher, have washed your feet, you also ought to wash one another's feet" (John 13:14). It can be easy to consider ourselves better than others, and difficult to serve in ways that are unrewarded, unnoticed, and sacrificial. In PCF, students are equipped to be servants, not only when others are looking, but also in many "unseen" but deeply transformative ways for ourselves and for others. Our ministry teams allow us to serve one another very practically and meaningfully.